Why Do I Need to Hire a Skip? I’d Never fill it. When many people think about skips they imagine the large, cumbersome units they see on construction sites. When it comes to their own DIY projects they can’t imagine how they would ever fill such a thing, even if they had room for one outside their house. 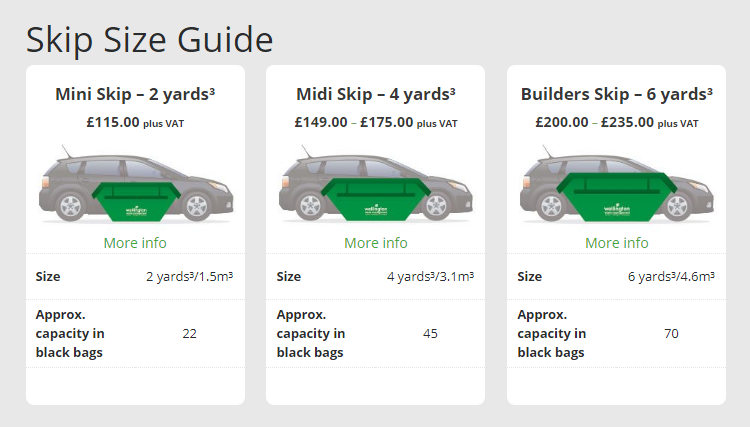 So instead of hiring a skip they choose to make trip after trip to their local waste recycling centre in their own car. If only they’d known just how many sizes of skip they could have chosen from and the true cost of the trips to the recycling centre. Our smallest mini skip has a capacity of two cubic yards. That’s around 22 black rubbish bags. This size of skip can be easily maneuvered into fairly tight spaces. It’s a handy size if you are just having a good clearout of your house, garden or garage. Sizes go up two cubic yards at a time so there are four, six, eight, ten and twelve cubic yard options. Four and six yard skips are popular choices with domestic users who are replacing kitchens and bathrooms or have rubble and soil to get rid of. Some of these have drop doors for easier loading. If you’re doing a major house clearance or have large amounts of bulky waste to get rid of, a medium, large or extra large skip should fit the bill. Our friendly team will be happy to advise you if you’re not sure what you need. The best part of hiring a skip is that you don’t have to bother sorting your waste. We take care of that back at our sorting facility. 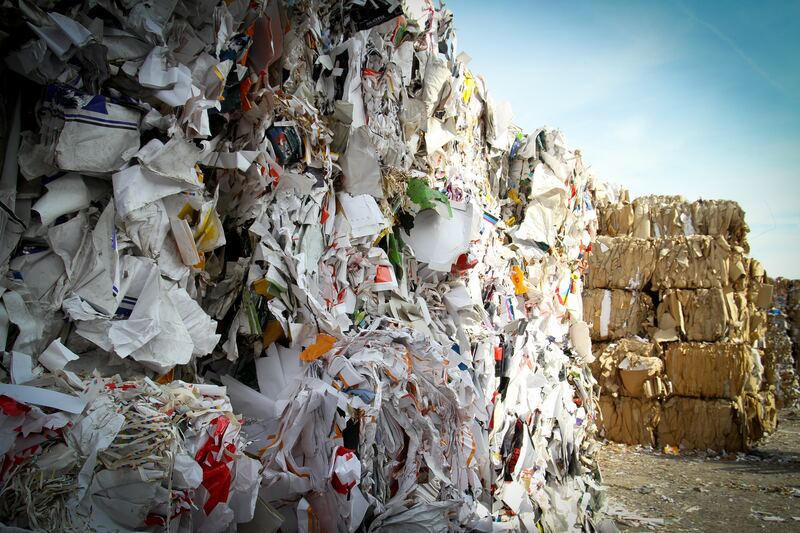 You can be confident that everything that can be recycled will be processed locally. If you take away your own waste you have to sort it so it goes in the right bin and you will have to pay for items like soil, rubble and plasterboard. With a skip you can throw it in and forget about it.